A select few websites have been successfully hacked during anti-Israel annual cyber-attack day; expert advises extra caution. 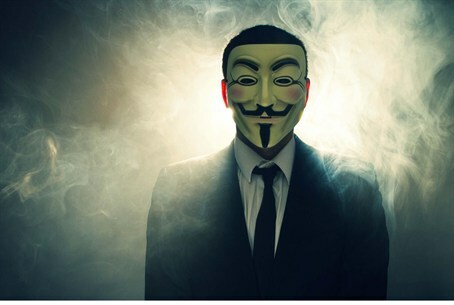 The hacking group "Anonymous" issued threats against Jews and the Jewish state, calling for a massive cyber attack against Israel. Overnight Monday, the group managed to launch the yearly #OpIsrael attack - but with limited success. In a video statement posted by Anonymous, the international hackers threatened an "Electronic Holocaust" set for April 7 - one week before Holocaust Remembrance Day in Israel. According to the group, the cyber attack was meant to avenge Israel's actions during Operation Protective Edge last summer. But the group has only managed, so far, to hack into singer Shalom Hanoch's website, as well as the website for the Israeli Center for Educational Excellence. Several attempts have been made over the past several hours, including cyberattacks launched against the Israel Airport Authority (IAA) website. Hacking experts say that the attempts have primarily been made from hackers in Morocco and Saudi Arabia. Adi Cohen, an internet and Google expert, told Arutz Sheva on Tuesday that most hackers attack Israeli websites with viruses or hidden mechanisms like "Trojan horses." Both could damage sensitive systems or allow hackers to glean classified information. Hackers take advantage of antivirus software - which used to be effective in the past, but have increasingly become irrelevant to the fight against cyberattacks. "End-user awareness is critical and very important," Cohen stated. Cohen suggests, among other things, not to open emails from an unknown source, not to open attachments or links in suspicious emails, and not to connect external devices like USB drives to any computer that has not gone through a virus check. He also advised office workers to shut down their work computers at the end of the work day. The internet: the new battlefield?